he! !o I am a newbie to Enfield Rifles. I bought my first two rifles today one is marked clearly the other really has very little markings only thing I can recognize is 303. 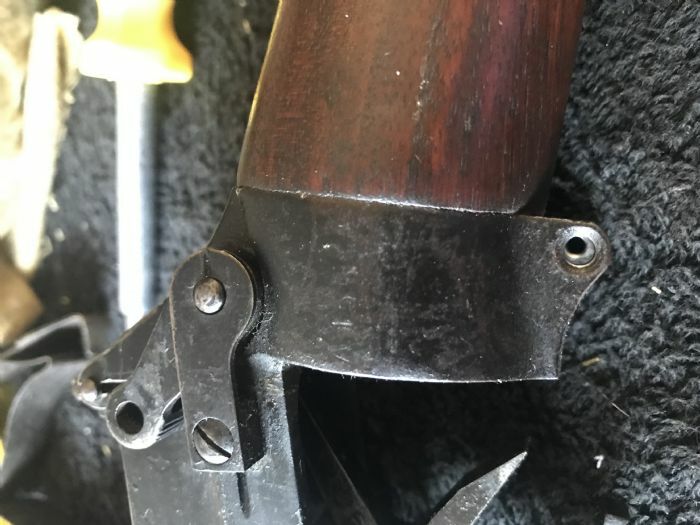 I was hoping someone would be able to help me identify this rifle and maybe tell me possible year and model. 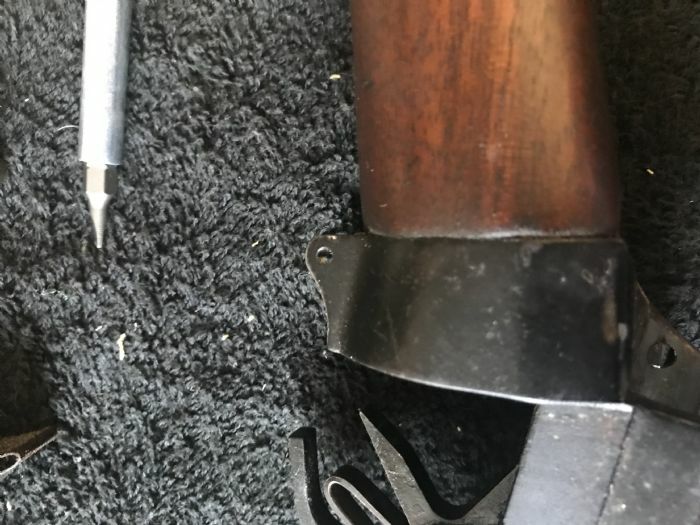 I have attached some pictures I took while cleaning the gun if more is needed please just let me know. 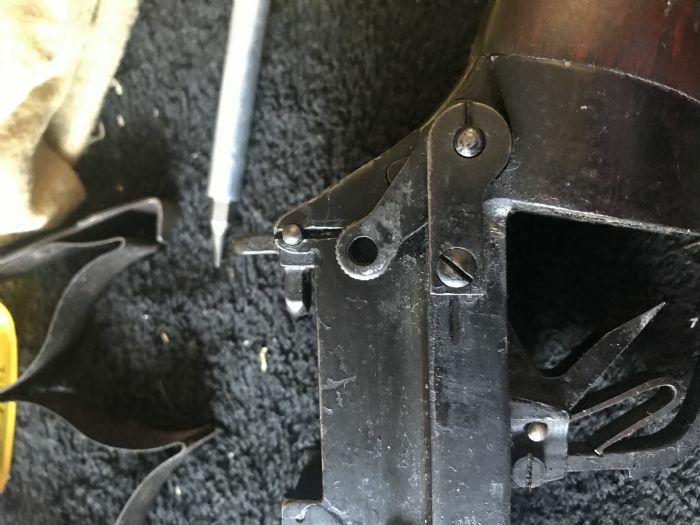 It is a No 4 rifle but I can't tell from these pictures if it is a Mk 1 or Mk 1*. 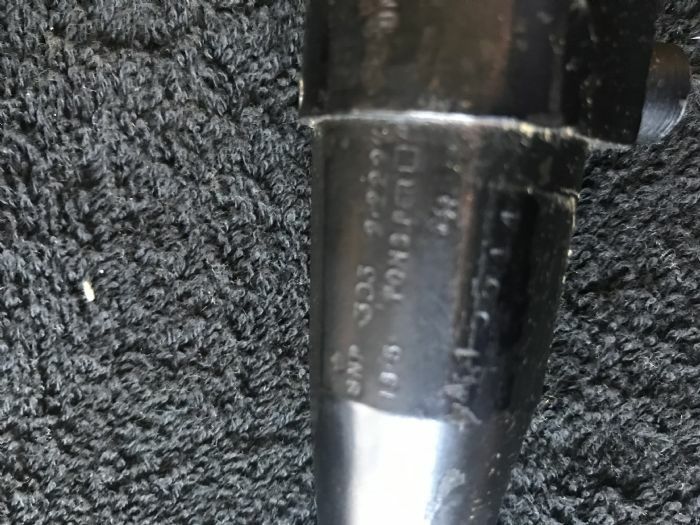 The only difference is how the bolt head released for removal. 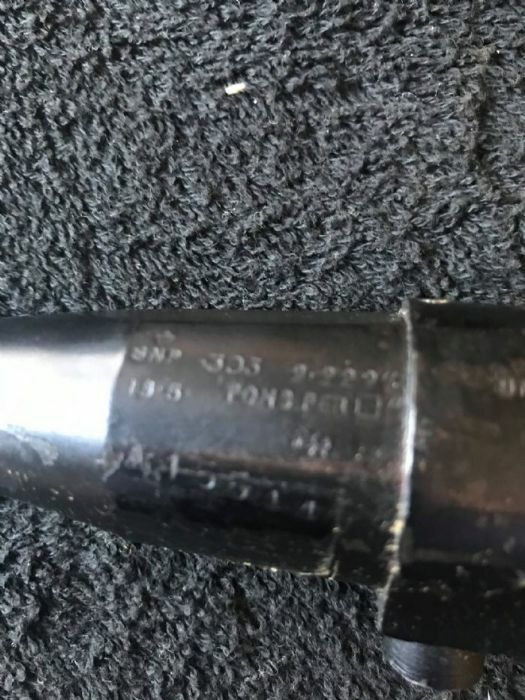 I can see the proof mark on the barrel, that was done when it was sold out of service. Other than that I can't read what is on the wrist. What is the first digit of the serial number? That determines where it was made. 1=Maltby, 2=Fazakerley, 3=BSA. From that picture it is a sporterized No 4 Mk 1. The serial says it was made at the Maltby plant. There will be small circular inspection stamps on the left front of the receiver. 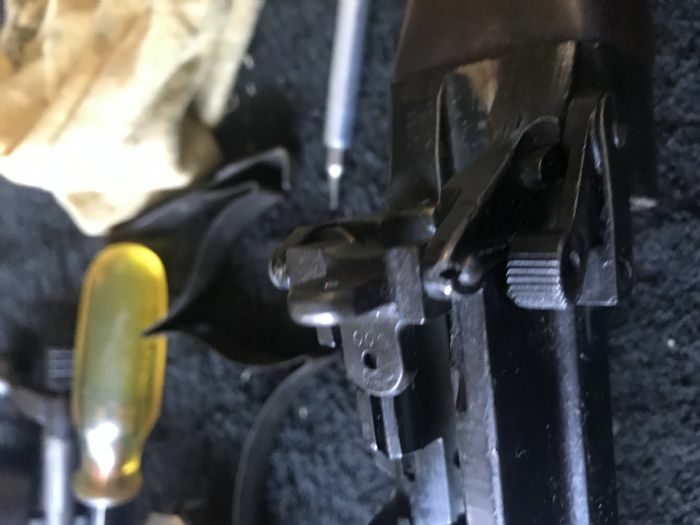 There will also be a series of 3 letters and/or numbers on the bottom of the wrist that is covered by the trigger guard when assembled. Pictures of those markings would be very nice for me. I am working on a book about Maltby and all examples of the unique markings are helpful if you are willing to share them.